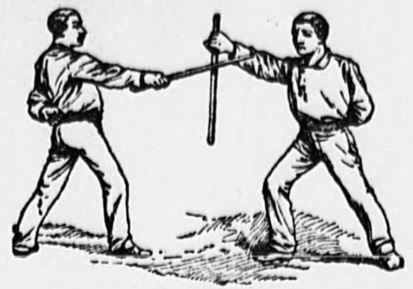 The following article on stick defense appeared in the November 20, 1887 issue of the New York Sun. Much of the technical information in the article came from Regis Senac, a notable New York City fencing master. A native of France, and a graduate of the military academy at Joinville-le-Pont, Senac had arrived in the city in 1872, and had set up a fencing school on University Place in Manhattan’s Greenwich Village. 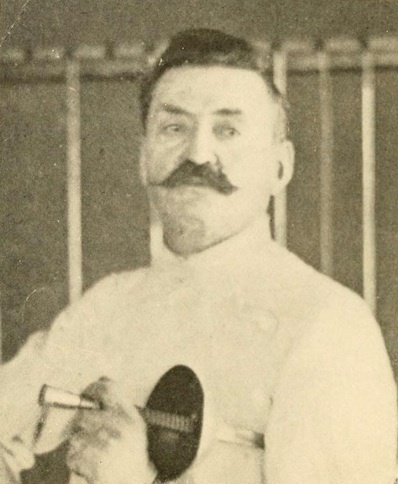 Above: Regis Senac in later years, from “The Art of Fencing,” 1904. Those interested in reading more about La Canne, and who are fluent in the French language, can consult Eugene Humé’s Traité et théorie de canne royale (1862).